The scientists plan to base the system on “insights from human pain research”. 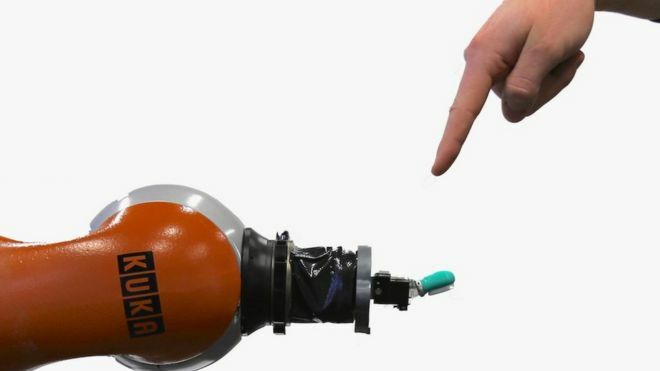 The researchers, from Leibniz University in Hannover, are developing a system that would allow a robot to “be able to detect and classify unforeseen physical states and disturbances, rate the potential damage they may cause to it and initiate appropriate countermeasures, ie reflexes”, they explained. “Getting robots to learn is one of the most challenging things but is fundamental because it will make them more intelligent,” he said.